The North Sanpete Ambulance Association team and the Emergency Department at Sanpete Valley Hospital are credited with saving Luis Garcilzo’s life. 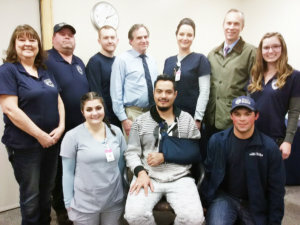 Back row (L-R): Alta Lynne Rasmusssen, advanced EMT, Fountain Green; Verle Nowling, EMT, Chester; Sean Rawlings, EMT, Moroni; Kent Chapman, physician’s assistant and assistant medical director of the Sanpete Valley Emergency Department; Elizabeth Simmons. RN; and Dr. David Krzymowski, surgeon at the hospital; and Heather Pecora, EMT, Wales. Front (L-R): Kaitlyn Sorensen, CNA at the hospital; Luis Garcilazo, the patient; and Joshua Pecora, EMT, Wales. Not shown is Emergency Department physician Dr. Brett Johnson. MT. 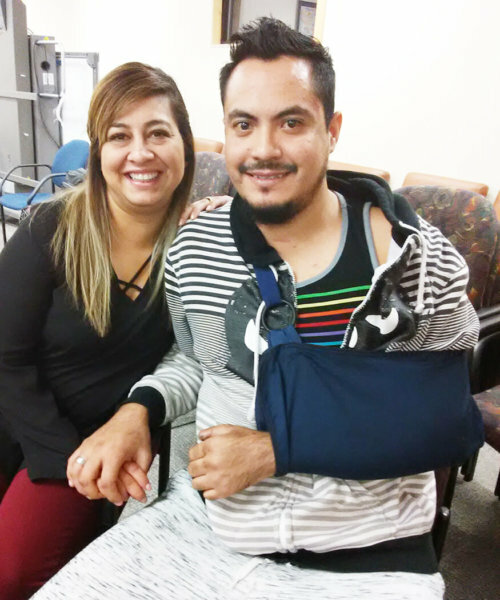 PLEASANT—It was a beautiful fall day toward the end of September when Luis Garcilazo headed out from Nephi on his motorcycle to meet his wife for dinner at her sister’s house in Ephraim. He wore a helmet and a leather jacket. 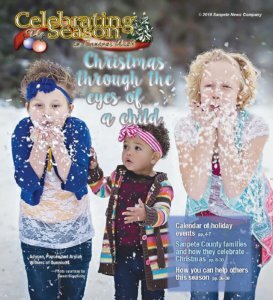 “The helmet saved my life,” he said following an “Extraordinary Save” presentation last Thursday, Jan. 24 at a building on the Sanpete Valley Hospital campus. The hospital holds Extraordinary Save events about once per year to commend local EMTs and the Emergency Department for exceptional performances that save patients’ lives. As Garcilazo traveled on S.R. 132 through Salt Creek Canyon and Fountain Green, he could not have imagined how dramatically his life would change a few hundred feet shy of the Moroni City Cemetery. That was where a white pickup came out of a side street into the path of his motorcycle. He plowed into the side of the truck at such velocity that his body bounched back 20 feet. 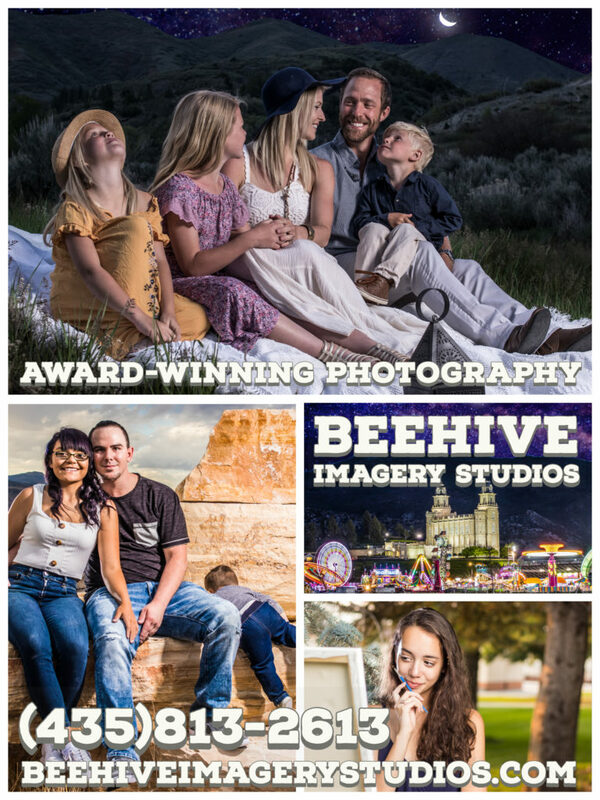 He doesn’t remember the accident, or being loaded into an ambulance or being wheeled into the Sanpete Valley emergency room, or being Lifeflighted to Utah Valley Regional Medical Center (UVRMC) in Provo. Suffice it to say that from the moment of impact to his arrival in Provo, almost everything went right. Luis Garcilazo with his wife Carmen Torres at a presentation of his case at Sanpete Valley Hospital. 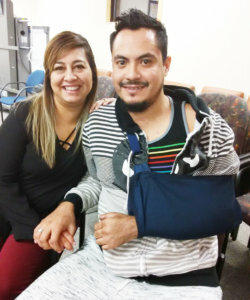 The couple expressed appreciation to EMTs and the hospital Emergency Department staff for saving Garcilazo’s life after a motorcycle accident in September, 2018. Some people traveling along S.R. 132 who worked at Central Valley Medical Center in Nephi stopped. “They knew what to do,” Alta Lynne Rasmussen, an advanced EMT and one of the first medical responders, said at the Extraordinary Save event. The six volunteers from the Moroni unit of the North Sanpete Ambulance Association assessed the situation as a “Trauma 1” emergency and informed the Sanpete Valley Emergency Department. Because of that communication, all services for stabilizing Garcilazo were ready in minutes. And the Lifeflight helicopter got to Sanpete Valley about the same time the patient did. Gacilazo had a crushed hand, a broken femur and head injuries. After arriving at UVRMC, he had two strokes, which caused vision impairment and damaged nerves in his shoulder, result in his losing 60 percent of the motion in his right arm. He spent one week in intensive care and two more weeks on a regular ward. He had to have a rod implanted in his leg from his knee to his hip. He’s had two surgeries on his hand. He ended up losing the tip of one thumb and having pins put in some of his fingers. When his wife, Carmen Torres, a third-grade teacher at Moroni Elementary, heard about the accident, he had her sister drive her to the hospital. She said the worst moment was when a doctor gave her her husband’s ring and belongings. She thought he perhaps hadn’t survived.